SJCPS Guidance and Counseling Program provides all students support for academic growth, career planning, and personal/social, and spiritual development. Families and students are encouraged throughout the year to contact the school counselor to address any areas of concern. 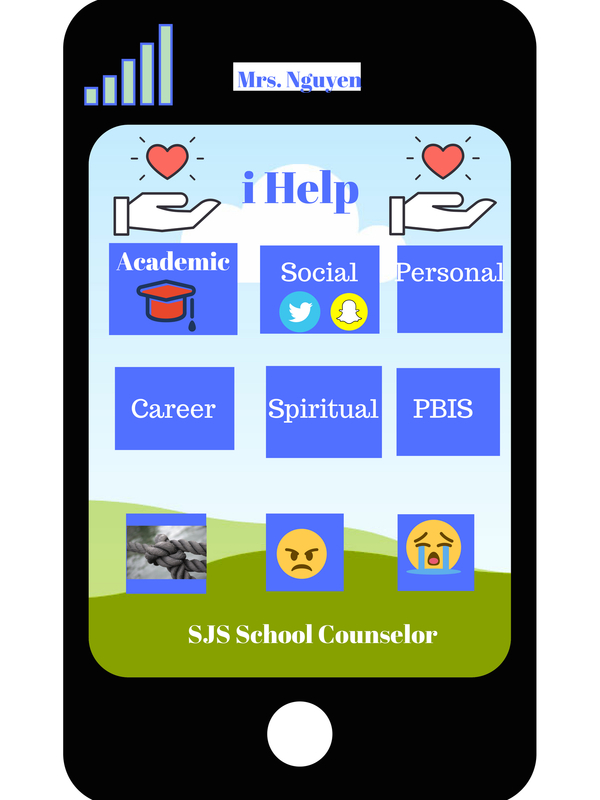 The school counselor utilizes multiple formats to provide support, outreach, prevention/intervention services and guidance curriculum to all students. Individual planning for academic, career or personal/social, spiritual needs is available all year to all students. Students may seek academic advising or support for personal/social, spiritual concerns by completing a ‘School Counselor Request Form’ or by teacher/parent referral. Students are informed at the beginning of the year and reminded at the semester of the request form and the confidentiality statement (see below). Multiple referrals or unresolved issues may result in parent/guardian contact, consultation and/or referral for additional services. Small groups are need-based support or service learning opportunities with students experiencing similar concerns or interests. Based on referrals, student request and/or survey data, groups are created to meet the needs of students at SJPCS. Small groups are voluntary and typically meet once weekly for six to eight weeks. The available topics for group counseling are grief/bereavement, divorce/separtation, study skills, 7 habits of effective kids & teens. Information students share with the school counselor is confidential. The student’s right to privacy is guarded as much as permitted by law, ethics and school rules. The school counselor is obligated to break confidentiality when there is a potential harm to the student or others, concern of neglect or abuse, or a court of law that requires testimony or student records. The school counselor often consults with other school professionals, but only shares information necessary to achieving the goals of the consultation.